The National Operations Center of Excellence is coordinating resources for the Total Solar Eclipse taking place on August 21, 2017. The path of totality will cover 14 states West to East across the country, however, the eclipse will be visible and have an effect on the entirity of the contiguous 48 states. We recommend you watch both our 2017 Total Solar Ecllpse Webinar for a fantastic overview of Total Eclipse and our Solar Eclipse Planning and Preperation One Month Out: Communications, Emergency Management, and Travel Estimates. 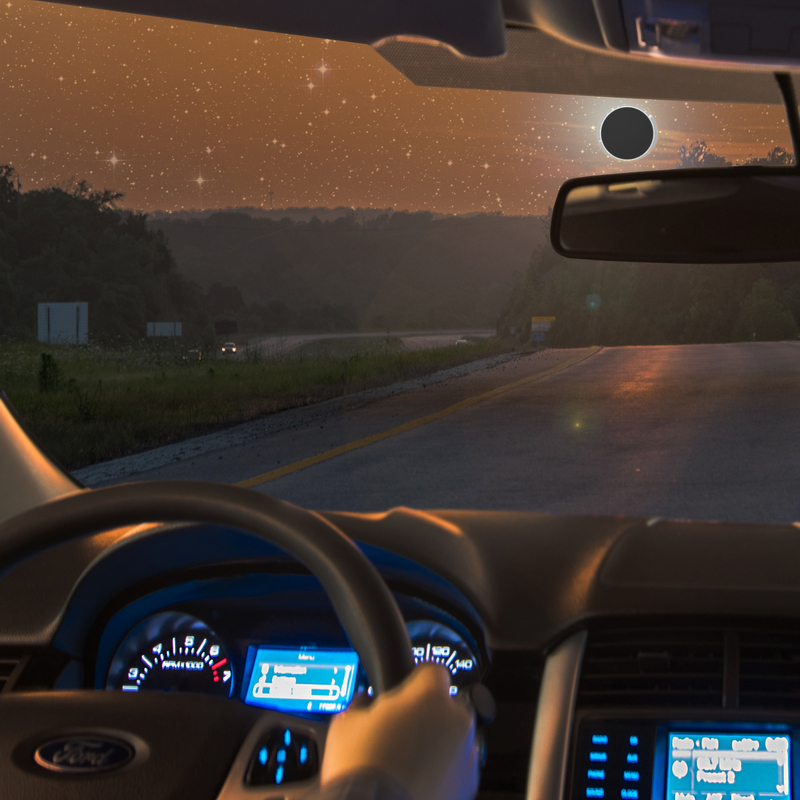 In the path of totality, special events will be the major challenge for transportation operators. But the effects of darkness and unusual travel patterns will affect the transportation network in every state. Below are resources from state and local transportation agencies as well as information for planning for the solar eclipse. 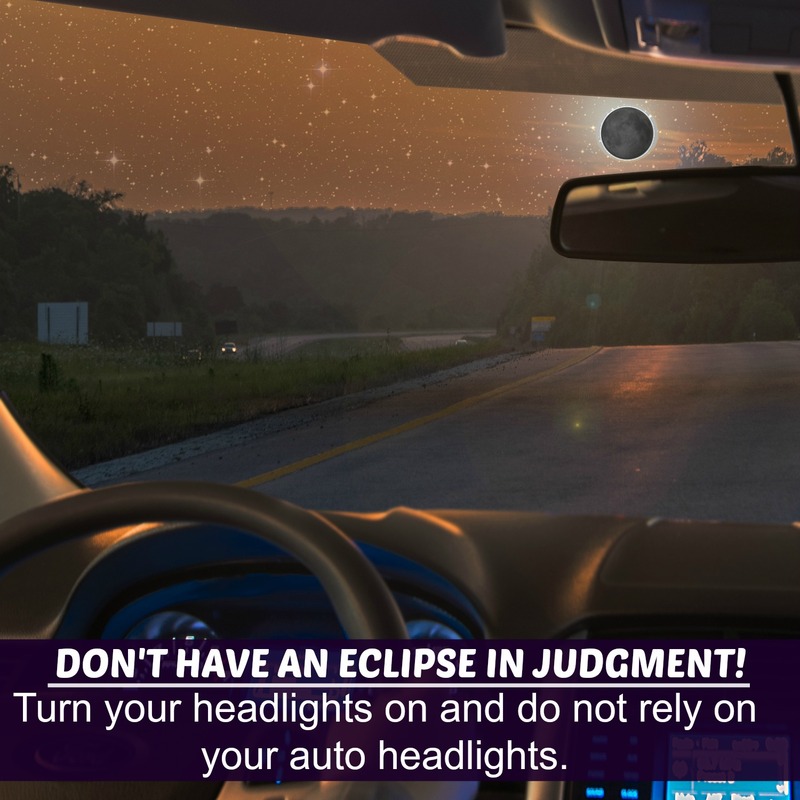 If you have any resources or plans for how your agency is addressing the eclipse, please be sure to email notify us at nocoe@transportationops.org. The AASHTO Transportation Communications Subcommittee — TransComm — is made up of public affairs professionals from the 50 states, Puerto Rico and the District of Columbia. TransComm has assembled a Solar Eclipse Task Force to share information among states regarding communications planning. An overview of the Transcomm Solar Eclipse Task Force and Missouri's activities can be found here. The Special Committee on Transportation Security and Emergency Management (SCOTSEM) serves state DOTs, other AASHTO committees, and partner organizations by developing, promoting, and supporting the coordinated implementation of all hazards infrastructure protection, emergency response, and related system operations/resilience programs. The SCOTSEM Solar Eclipse Task Force focuses on coordination around emergency management issues necessary to address around a special event such as the solar eclipse. Information on state DOT activities around these issues can be found in the June 2017 task force meeting minutes, found here. The map below outlines the path of totality and provides links to details on each state within the path of totality. Additionally, we've provided a cloud chart predicting where total eclipse will mostly likely be visible as well as a map from eclipsemaps.com demonstrationg the percentage of darnkess across the country. Undertaken advanced planning as it is likely to increased local travel demand from people jockeying to get to the line of maximum totality. Developed partnerships with user-based routing apps? Real-time information is likely to be valuable as most of the path is through rural areas where any congestion and closures might be unexpected. Considered this event in your construction and maintenance planning? The distraction that Solar Eclipse may mean it's not a good day to schedule work zones and detours. Created an events schedule? The duration of the event will occur between about 16:00 Universal Time (UT) (on the west coast) and 20:00 UT (on the east coast). 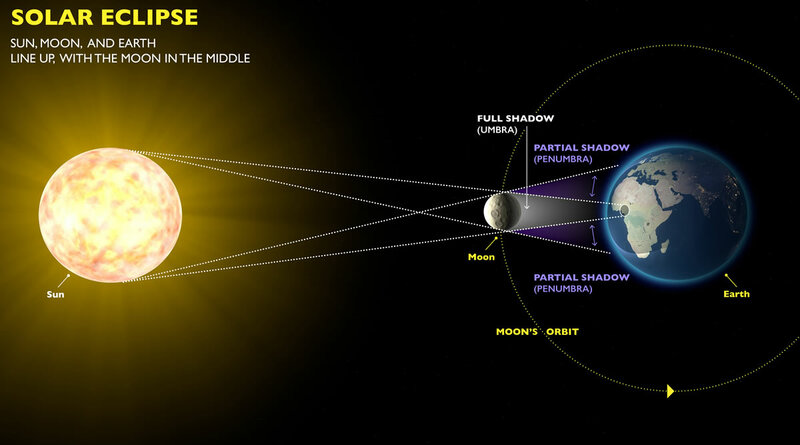 The duration at any given location will be about 3 hours from the start of the partial eclipse (the point at which the moon first begins to obscure the sun) to the end (where it leaves the sun completely). 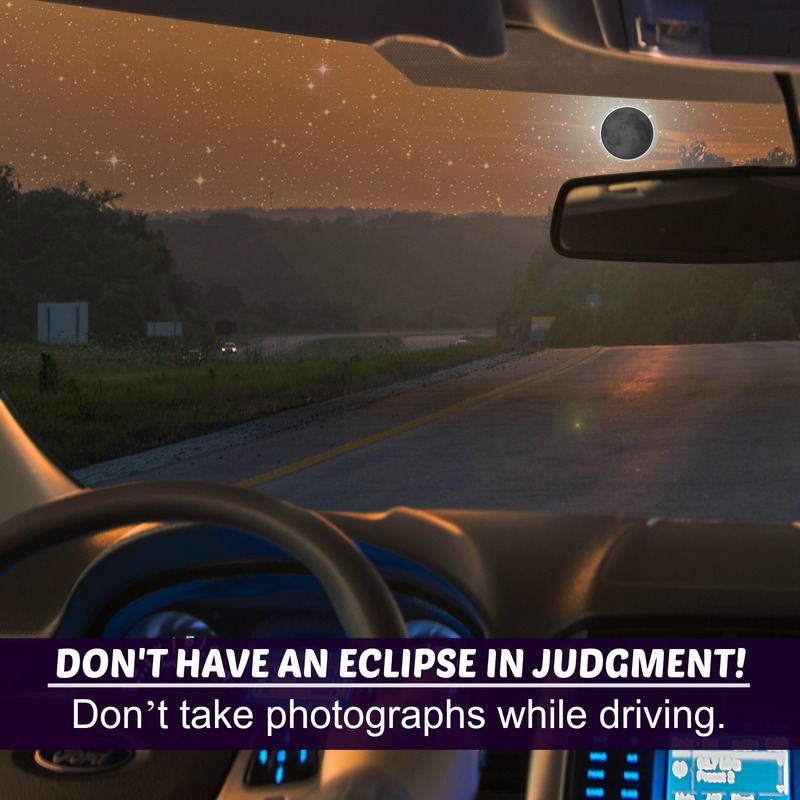 Note: As it pertains to transportation planning, travelers should be at their observation location a minimum of a couple hours before totality. 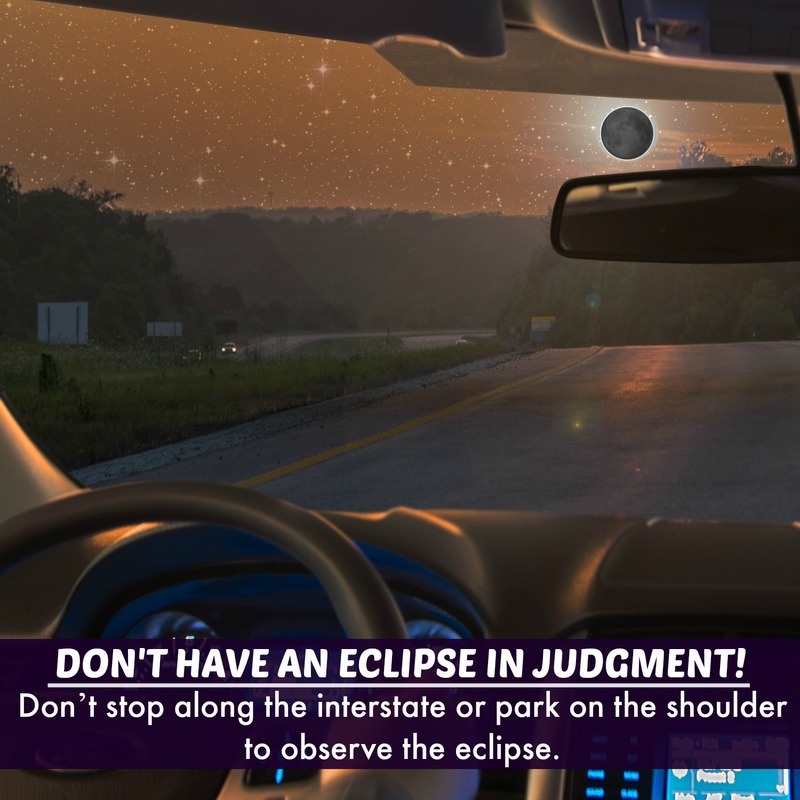 The role of State and local DOTs may include instituting roadblocks or other measures to keep people from making illegal turns as they drive around looking for "the perfect spot" as eclipse totality nears. Incorporated traveler behavior into your plans? In addition to individual travelers, the eclipse is likely to draw numerous groups including schools, enthusiast communities, and other entities with varying capabilities for advance planning and organization. Arrivals will be somewhat paced; departures will be more compressed as there is no reason to remain after the period of totality has passed. Prepared for the future? We suggest the States who experience the 2017 Solar Eclipse to share their knowledge with those public agencies that will be under the path of continental United States solar eclipse that occurs on April 8, 2024. A solar eclipse occurs when the moon transits directly between Earth and the sun, blocking the sun and casting a shadow over Earth. For those in the path of totality, the the eclipse offers an extraordinary opportunity to see the sun's corona. The last time most Americans experienced a total solar eclipse was 1991. In 2017, over 500 million people will be able to observe the August 21, 2017 total solar eclipse, in partial or total form: 391 million in the U.S., 35 million in Canada, and 119 million in Mexico (plus Central America and parts of South America and northwestern Europe) . This is a golden opportunity to observe one of nature’s most exciting splendors and to engage and educate diverse audiences in the U.S. and internationally, using a backdrop of this amazing celestial event coupled with NASA unique assets. If you have any resources or plans for how your agency is addressing the eclipse, please be sure to email notify us at nocoe@transportationops.org.